This resin replica would be the perfect addition to display on a shelf or in a curiosity cabinet. It would be a stunning piece to use as Halloween decor or could be used as a focal display piece on a mantle, desk or shelf year round. 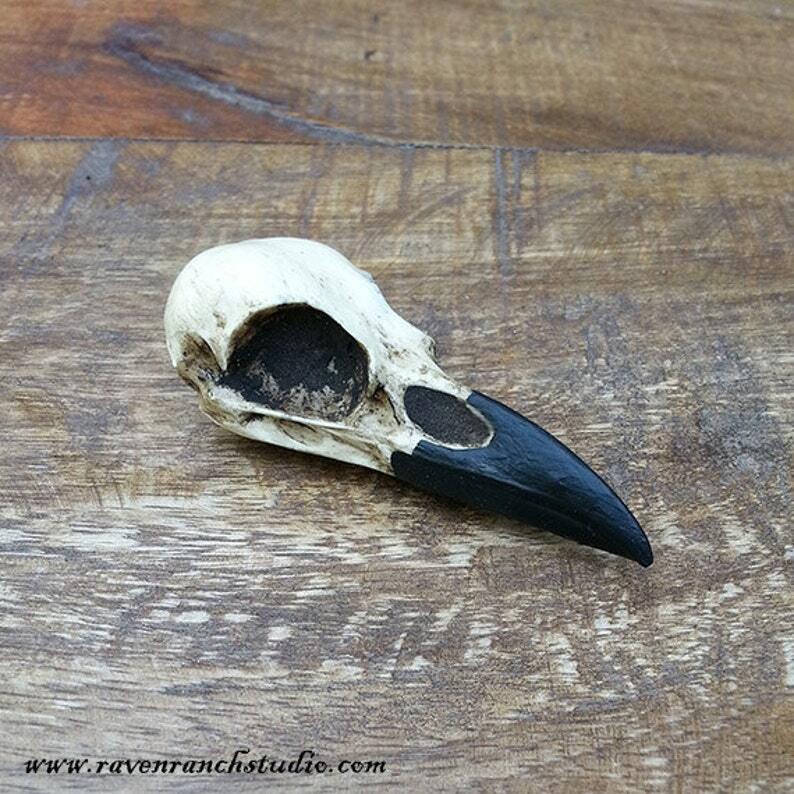 Because this skull is a resin cast replica, it is an ethical alternative for use as artistic or scientific reference or incorporated into your own art project. The skull can be drilled, painted, glued, sanded, etc. Shipped in a cotton filled gift box and tied with ribbon, ready for gift giving. Beautifully crafted. Looks just like the real thing! Amazing quality and came very quickly. The attention to detail is superb.